Developed in conjunction with two of the biggest Supra specialty shops in the nation, MVP Motorsports and Sound Performance! Tested on each of these shop’s 1000+ hp Supras. 16-way adjustable dampers. 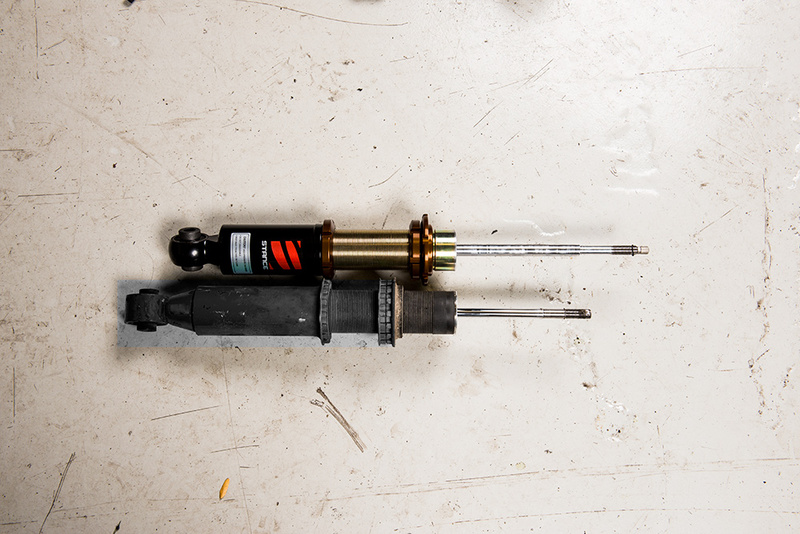 Our dampers offer huge range of adjustment at low shaft speeds to provide precise control in any conditions. Custom-valved per application. 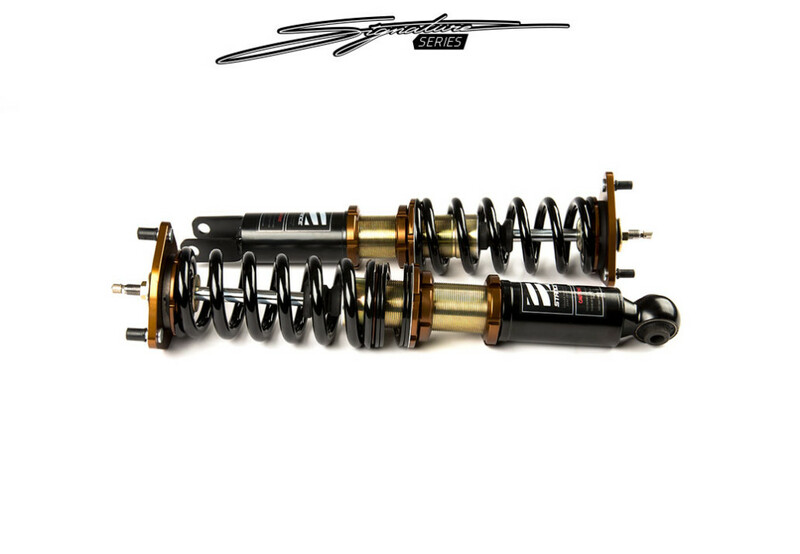 Working with two extremely experienced shops allows us to set your coilovers with the right spring rates and valving, taking out the guess work. Exclusive Production. 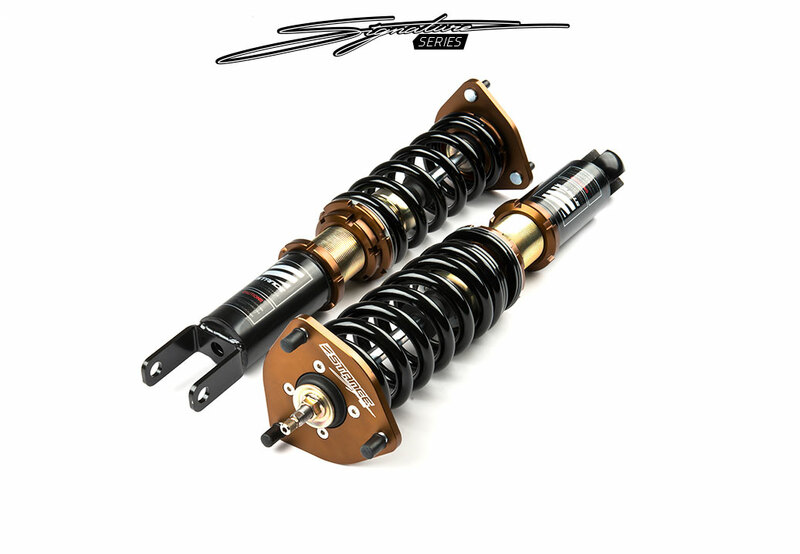 Available from MVP Motorsports and Sound Performance. Assembled in the USA and dyno-tested to ensure quality and consistence. Optional SWIFT Spring upgrade is available. 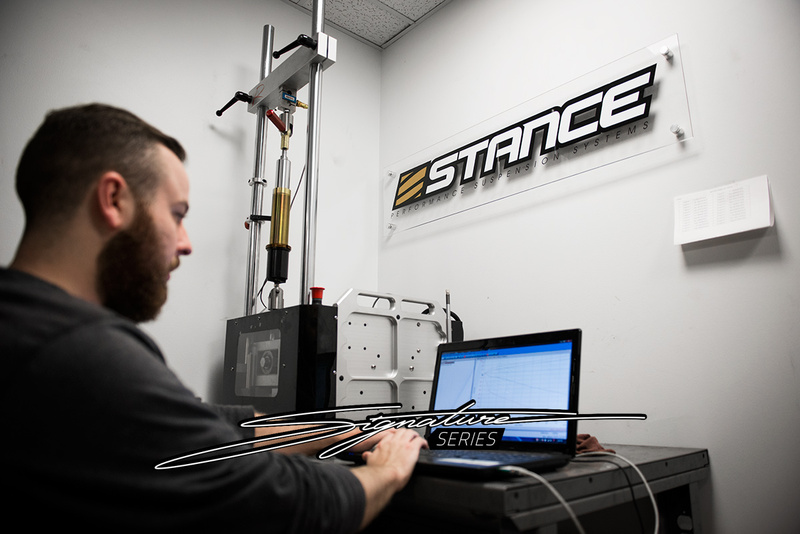 Signature Series comes preset with spring preload and our recommended ride height out the box to minimize time on the lift. Extra long stroke design with helper spring also allows for more droop, increasing extension travel. This means your front tires will stay in contact during launch, giving you full control over the steering. 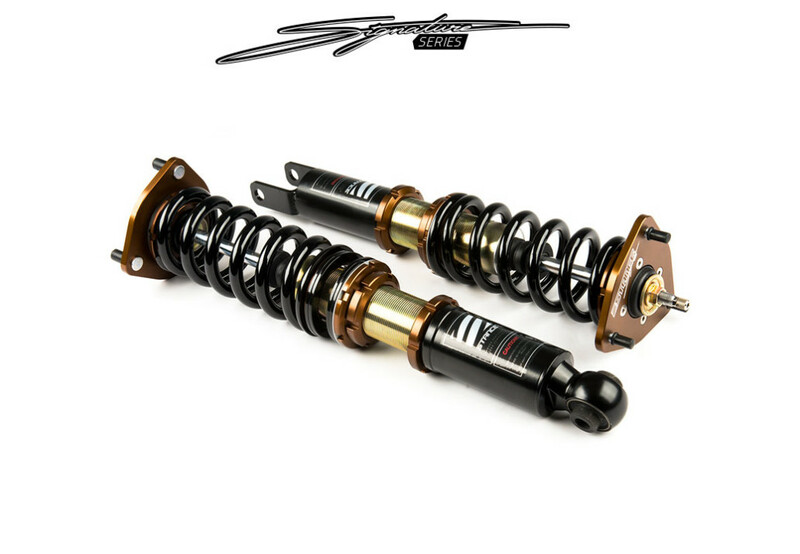 This picture illustrates the full extension of the Signature Series Drag Spec coilovers. 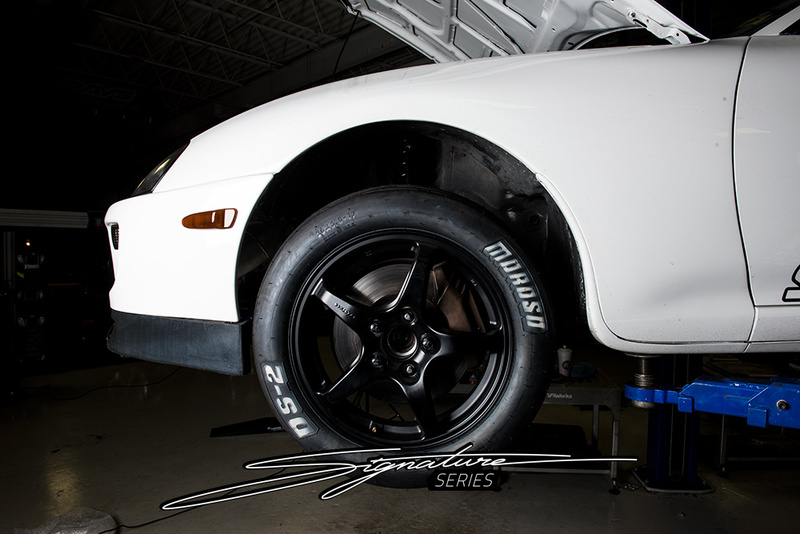 Signature Series are assembled per order with valving tailored to each chassis’ HP, weight and tire size. Each set is tested for consistency and quality.